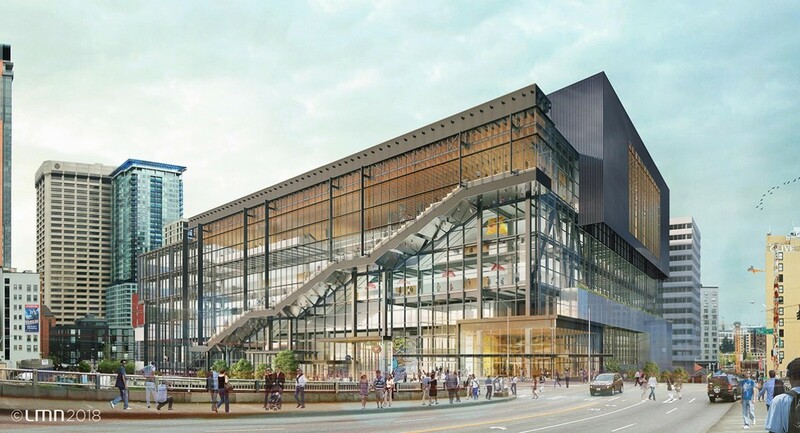 Following the years of study and demand from convention goers who prefer to meet in Seattle, the Washington State Convention Center (WSCC) is proposing to build an additional facility. The WSCC Addition will be a transformative project that provides a host of economic benefits, including as much as $260 million annually in visitor spending, as many as 3,900 direct and indirect jobs, and some 6,000 jobs during construction. The funding will come primarily from a bond issuance by WSCC supported by the existing tax on hotel rooms. WSCC has a strong, voluntary commitment to partnering with WMBE businesses. These companies are critical to making the WSCC Addition a success. SEPA Draft Environmental Impact Statement publication. NEPA Draft Environmental Impact Statement publication. Notice of Availability of the SEPA Final Environmental Impact Statement. SEPA Final Environmental Impact Statement publication. NEPA Final Environmental Impact Statement and Record of Decision. Students from Franklin High School met with local construction professionals from the Pine Street Group at the Washington State Convention Center on November 29. 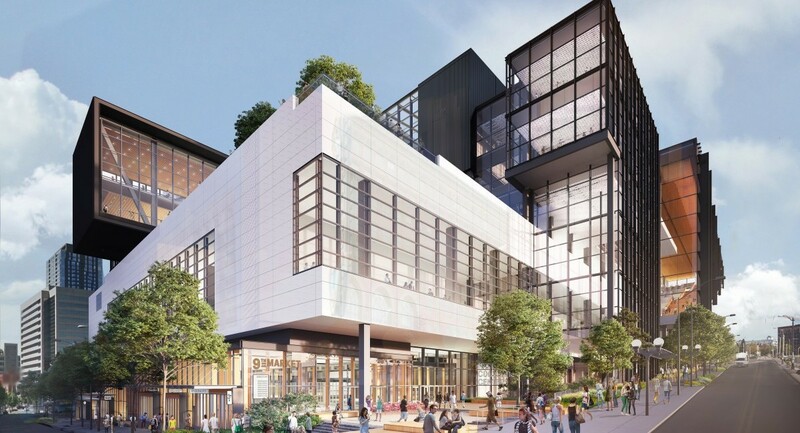 The Pine Street Group properties consist of Pacific Place, Washington Mutual/Seattle Art Museum, and many more and are headed by Matt Griffin, principal, and managing partner. Tuesday marked the official ceremonial groundbreaking for the Washington State Convention Center expansion. WSCC has a strong, voluntary commitment to partnering with minority, small, veteran, disadvantaged and women-owned businesses. These companies are critical to making the WSCC Addition a success. To learn more, please visit Contracting on this site. Who owns the Washington State Convention Center? The Convention Center is owned and operated by a King County Public Facilities District (PFD). In 2010, the legislature passed Substitute Senate Bill 6889 authorizing King County to create a public facilities district to acquire, own and operate a convention center transferred from a state public nonprofit corporation. On July 30, 2010, the King County Council passed King County Ordinance 16883, which officially established the Washington State Convention Center Public Facilities District. Is the Convention Center a government agency? Yes, the Convention Center is a PFD, an independent unit of local government chartered within King County. Washington’s governor, Seattle’s mayor, and the King County executive each appoint three members to the WSCC’s Board of Directors, which is ultimately responsible for the management, operations, capital improvements and financial success of the Convention Center. While once owned by the state of Washington, that is no longer the case. Is the existing Convention Center supported by taxpayer dollars? 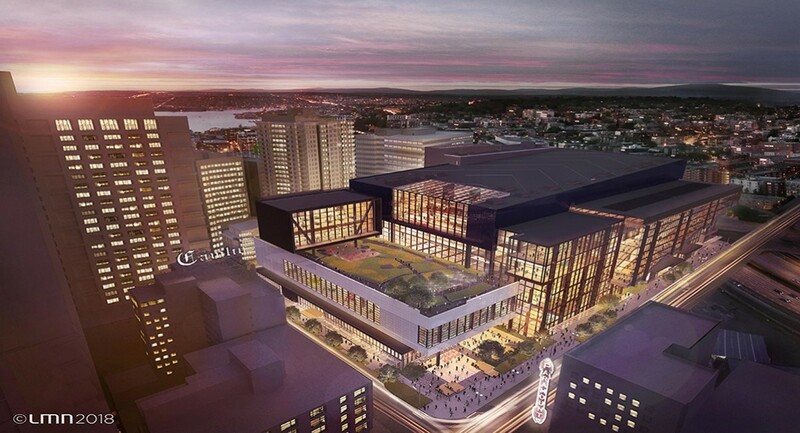 The Washington State Convention Center (WSCC) is funded by a tax on hotel room usage in the City and King County, as well as by enterprise revenues that include room rental sales, food and beverage services, facility services, parking and retailers located in the center. WSCC is one of the few convention centers in the nation that consistently turns a profit on operations. WSCC receives no operating subsidies from any governmental agency. Why do we need an Addition to the Convention Center? The convention business in Seattle is very strong and continues to grow year over year. There is an opportunity to capture even more convention business to generate more revenue for the community, supporting the hotels, restaurants, other hospitality-oriented businesses, and related employers in the region. Demand for meeting business in Seattle is bolstered by a 65 percent repeat customer rate for national conventions. Today, WSCC turns away as much business as it books. In the past five years, the Convention Center could not accommodate more than 350 event proposals due to lack of dates or space, which equates to $2.13 billion in potential lost economic benefit for the region. Will taxpayer funding be used to build the new Convention Center facility? Funding for the Addition will come primarily from a bond issuance by the Convention Center supported by the existing tax on hotel rooms. No new taxes will be needed for the Addition. How do I sign up to indicate my interest? Please sign up here and direct questions to Marivic Chennault, Director, Clark Construction, (marivic.chennault@clarkconstruction) or Tony Johnson, Principal, Johnson Construction & Consulting (tony.johnson@johnconcon.com) for more information. How many jobs will the project create? The Addition will create approximately 2,300 direct jobs (at WSCC and in hospitality-related businesses) and support an additional 1,600 indirect/induced jobs (jobs in the supply chain such as food purchases and jobs generated by those with direct and indirect jobs supporting the hospitality industry). During construction, the project will employ as many as 6,000 workers. There is a significant opportunity cost to the community for a delay in this project. In addition, the Convention Center, as in past work history, is committed to partnering with minority, small, veteran, disadvantaged and women-owned businesses to build and operate the new facility. What are other important benefits? The Addition is expected to generate about $200 million per year in out-of-state visitor spending and $60 million per year in spending from Washington residents. By way of comparison, cities spend years and significant dollars chasing major sporting events for their economic benefit, such as a Final Four Men’s Basketball Tournament (estimated economic benefit: $100+ million in spending) or the Superbowl (estimated revenue for Superbowl XXXIV in Atlanta: $215 million in spending). Those are one-time boosts, compared with the year-over-year spending anticipated by visitors to the Addition. Will you use union labor to build and operate the new facility? The existing Convention Center is a union facility, the Addition will rely on union labor for construction, and it is anticipated that the Addition will employ union labor. How will the Addition affect the walk from Capitol Hill over I-5? The Addition will enhance pedestrian connections from downtown to Capitol Hill, improving the walking experience through activation with new street uses, sidewalk improvements, landscaping and lighting. What’s your plan to make the retail successful? Retail success can be difficult in today’s on-line environment. On top of that, consumers simply aren’t purchasing goods and services like they once did. 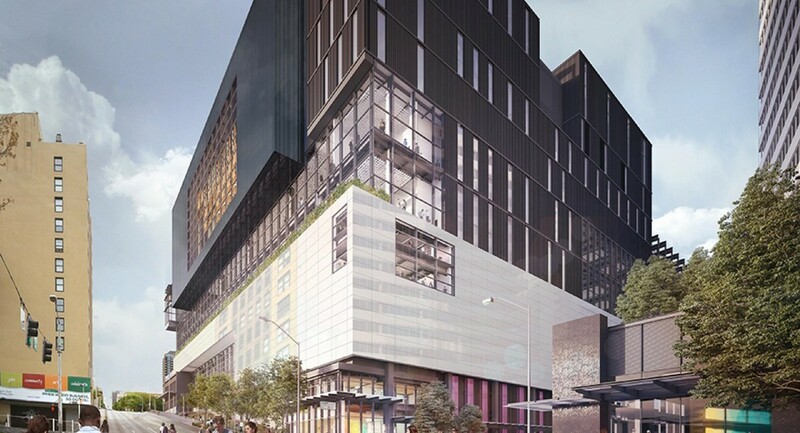 As developers of Pacific Place and Via6, Pine Street Group (developer of the Addition on behalf of WSCC) understands retail and has asked architects Graham Babba to help LMN create an engaging retail environment. Jim Graham’s retail work includes Via6, Melrose Market and ChopHouse Row. Innovative ideas are part of his DNA. Is a public art program planned for the Addition? Absolutely. We are proud to share our existing public art collection and find it well visited by both meeting attendees and the public. The Convention Center has a 30-year history of providing public access to art, including more than 100 permanent and rotating works of art on display in the existing facility. The Addition will expand WSCC’s well-respected art program featuring Northwest artists. Will you fund affordable housing as part of this project? Yes. The project has funded $30 million to the city through its community benefits package, $5 million to King County as part of the agreement to purchase Convention Place Station and is funding an additional almost $5 million through incentive zoning payments to the city and Plymouth Housing. Will the Addition be a “green” building? Yes, it is anticipated that the Addition will be LEED Gold certification. 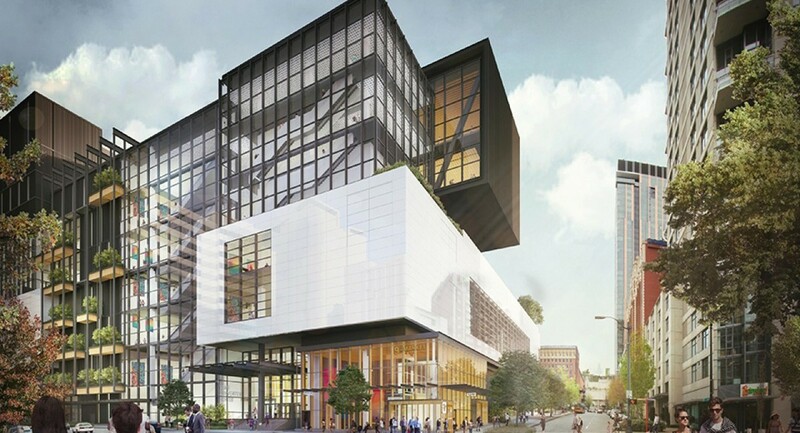 In addition, the new facility is expected to feature a host of sustainable elements, including innovations that embrace Seattle’s commitment to environmental stewardship. The existing facility has operated with a culture of sustainability from the day it opened, and the PFD is committed to environmentally sound management principles for both convention center buildings. Will there be parking on site? Yes. The Addition will include parking for approximately 700 vehicles, which will serve the Addition, and the co-development projects (office and residential) to the north of the Addition. The convention center’s two existing garages will be managed differently to help cover demand. What’s happening with Convention Place Station? Nearly 15 years ago, the decision was made to close Convention Place Station (CPS) to bus traffic when light rail extends beyond the University of Washington. The long-term plan has been for the buses to deliver passengers to the light rail stations and use the light rail to move riders through the hourglass of downtown. This requires more trains and cars, which means buses must move out of the tunnel. Per the purchase and sale terms between King County Metro and the WSCC, the Convention Center will support bus access to the tunnel through at March 2019. King County Metro, Sound Transit and Seattle Department of Transportation are working in partnership with the Convention Center team to manage the transition. Fortunately, the multi-modal options at Westlake are just a few blocks away from CPS, which will offer a variety of transit needs when bus access to the tunnel is ultimately closed. How will the transition with Convention Place Station affect downtown? Each agency involved with transportation downtown is working together to make this transition as smooth as possible through the One Center City (OCC) plan. Partners in this plan are Metro Transit, Sound Transit, Seattle Department of Transportation, and the Downtown Seattle Association. The plan will provide improvements that can keep people moving through the Center City when more buses come out of the tunnel. To maintain dynamic growth in a highly developed urban environment, mobility must be maintained and increased, which takes thoughtful, thorough coordination. This plan will help efficiently manage transportation systems and make the right connections for light rail, buses, bikes, pedestrians and freight. The plan will consider ways to give priority to additional buses on the streets, and increase capacity and performance by making potential improvements such as new transit lanes and priority transit treatment through downtown bottlenecks. Existing bus service is also being reviewed to ensure that buses operate efficiently through this constrained area. Will there be traffic impacts? As with any large construction project, there will be impacts during construction. However, the project team is working closely with SDOT on a construction plan to reduce those impacts and communicate these plans to the general public and neighbors. When the Addition and co-developments are complete, the number of driveways on the three parcels will reduce from 17 to five, which should simplify traffic patterns and improve the pedestrian experience. What are alley and street vacations? The partial alley on Site A. The alleys on Sites B and C.
Olive Way below-grade vacation between Ninth Avenue and Boren Street. Terry Avenue below-grade vacation between Olive Way and Howell Street. The vacations were requested to enable construction of a below-grade loading dock and exhibition hall. Olive Way and Terry Avenue will remain public streets at the surface; the land below grade will become the property of the Convention Center. What will the Convention Center do in exchange for the vacations? The project will pay the City a fair market price for the value of the land. In addition, the project is providing a package of investments for the community. The value of these ivestments totals more than $93 million and includes substantial funding for affordable housing, parks and open spaces, improvements to Pike and Pine between downtown and Capitol Hill, bicycle infrastructure, a lid I-5 study and more. Why is the Convention Center proposing to expand? The existing Convention Center turns away as many meetings and conventions as it books, due to the lack of available space or dates. The Addition project will have a profound economic impact on the Greater Seattle region by hosting many of the conventions it currently turns away, benefiting our region’s workers, restaurants, shops and hotels by adding an estimated $260 million per year in spending to the local economy.